Since I’ve been back from Europe I’ve been making an effort to eat healthy again. After a month of indulging and eating some of the best meals of my life it’s good to be in the kitchen again. 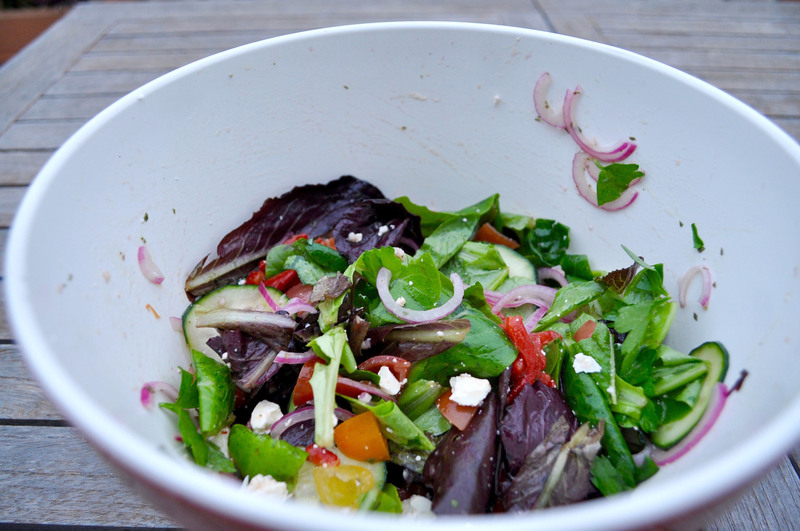 I thought I would share this Greek Salad recipe with you. It’s really easy to make and tastes delicious. 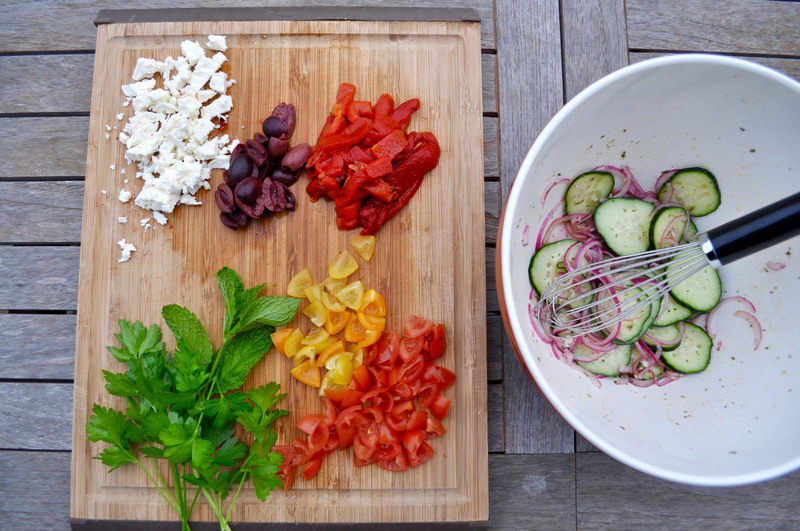 I like how the creaminess of the feta cuts through the intense flavor of the red onion. It’s been really hot here in LA so salads have been our go-to meal. 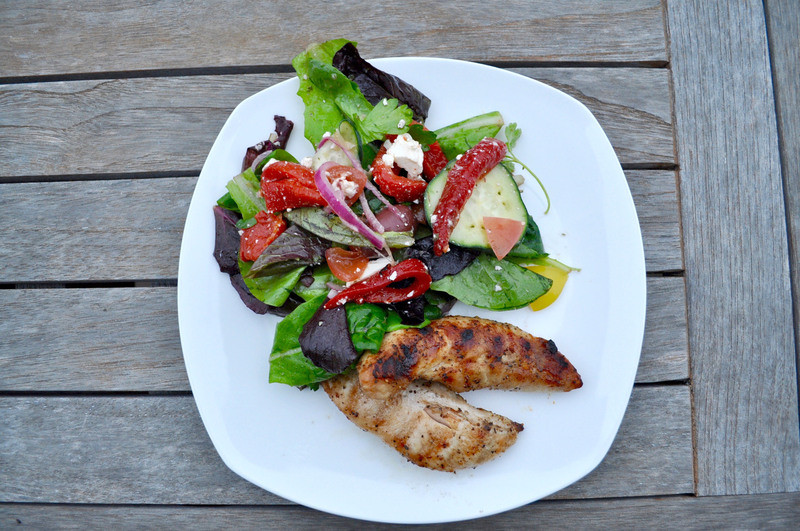 I’ve been having this salad with a glass of white wine while eating on our balcony enjoying the last bit of summer. Now that I’m back home it’ll be good to get back into the swing of things. 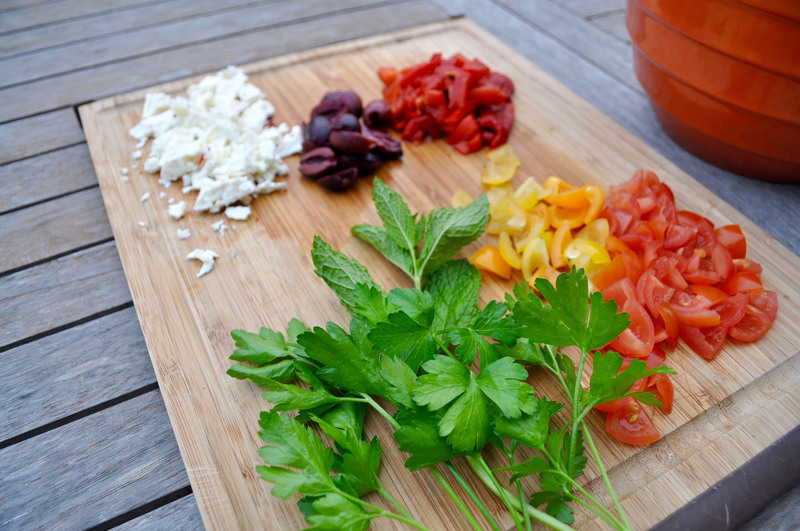 First, prep the dressing in a large bowl and set aside. Slice the onion and cucumber, then put them in the dressing to marinate for 15 – 20 minutes (this helps take out the strong onion flavor). Prepare the rest of the ingredients, then combine with the dressing mixture. Add in the romaine lettuce and mix with the dressing to evenly coat the lettuce. 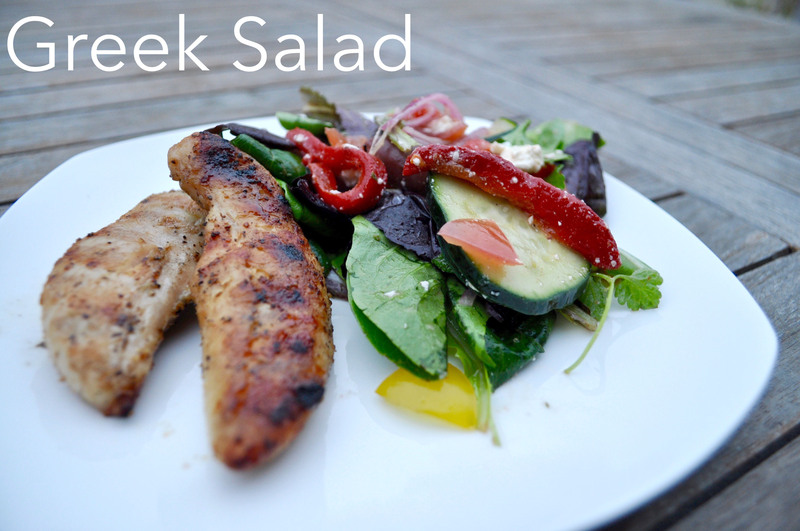 Throw in the feta cheese and serve immediately.